Today Slack announced Slack Enterprise Grid, an enhanced version of Slack for enterprise companies. Slack Enterprise Grid will allow you to have multiple teams on one Slack with channels that can be shared between more than one team. 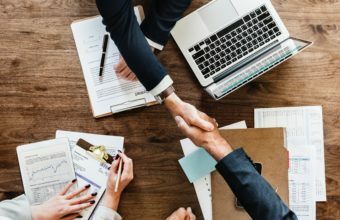 For example, Marketing will only see marketing related channels, but can have a shared channel with a different department like HR or Customer Service. We’re happy to report that Workato and Workbot for Slack are ready to go for new enterprise customers and you can start making integration recipes for Slack for Enterprise today. You can use Workato integrations across teams in Slack Enterprise Grid by using our secondary Slack app when creating your recipe. For example, if a request comes in to the support team that requires enhancements from the development team, you can set up a seamless transfer from one team to the other. 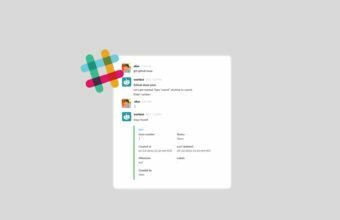 Using this recipe, Workato can deliver the notification that a new Zendesk ticket has come in to the support team Slack team. When a team member sees the ticket is a request for dev enhancements, they can send it over to the engineering Slack team with the click of a button. This recipe powers the button functionality. Over on the Engineering Slack team, a notification will appear letting them know enhancements are requested. And, back on the customer service side, a confirmation shows that it was posted in the Engineering Slack Team. For both notifications, the channel these notifications are delivered to are customizable. This integration ensures that no one’s workflow is disrupted and prevents the Engineering team from needing to get notifications about every ticket (even non-dev related ones) in a shared channel between Engineering and support. Instead, the matter can be evaluated by a customer support team member and the Engineering team is only notified of the truly relevant requests without support needing to leave Slack to write an email, copy and paste into a different channel, or go into Zendesk and reassign the ticket. *Note: you can copy this recipe as is with the click of a button. If you want to customize this recipe don’t hesitate to reach out to Workato for assistance. In an Enterprise company, it doesn’t always make sense to ping the entire company about a new hire. However, it may still be relevant to more than one team, especially teams who work together often. You can automate the introduction of a new employee to more than one team on Slack. This recipe will trigger when a new Employee is added in Zenefits. You can add a “trigger if” parameter so that the recipe will only trigger when an employee from a specific team is added – in other words “trigger if: new team member is tagged as marketing.” Then Workato will send out a notification with the new employee’s name and position to two teams, marketing and sales. You can customize which teams get notified. Multi-department communication has never been easier! There are many, many more scenarios you can use Workato to complete with Slack for Enterprise. Start building your own recipes using our second Slack instance. Integration is going to be key for any enterprise using Slack, and both Aegis and Workato can help you manage all of these integrations. Aegis is an Admin and Governance console that provides visibility into all your integrations and how they are being used. It also provides the ability to enforce policies to improve overall security and governance across all your integrations including integrations with Slack and across Slack teams in an enterprise. Provide IT with visibility on what apps are being integrated, what data is going across the firewall, which department or user is doing what. Enable IT to create and distribute ‘supported’ recipes for departments to use with full support for version control, updates, and more. Provide delegated admin services for run-time ops. Keeps IT in the loop and provide a valuable service to lines of businesses. Transparency, risk management, deep insights, data risks, what when, who, how of how corporate data is shared across enterprise. Reduce costs via removing redundant licensing & license consolidation.